Customers have been snapping up Roku devices for years, and many of those folks cancel their cable or satellite subscriptions as a result. Some keep their pay TV and add Roku to their entertainment mix, with its access to Netflix, Amazon Prime, Hulu Plus, Crackle, Sling TV and numerous other channels. 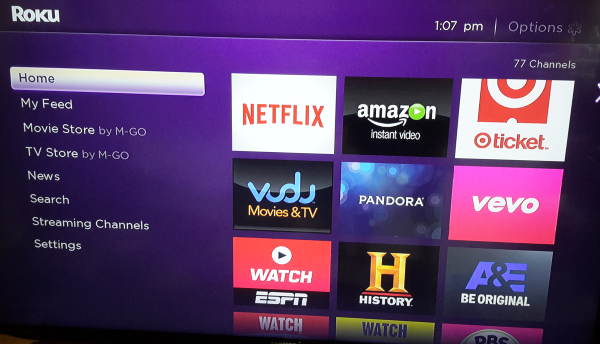 Other Roku devices require hooking them up to TVs using cables. The Roku Streaming Stick costs less than $50 and plugs directly into any free HDMI port on your TV. It requires only a power cable to work. There’s no little black box with this Roku, but it does have the standard Roku remote plus the normal Roku screens and channels that you’d get with any other Roku device. It does require an HD TV with a free HDMI port available. It won’t work with an older non-HD television set. You’ll need an older Roku 2 (not the 2015 version) or a Roku 1 Streaming Player for that. Hooking up the Roku Streaming Stick couldn’t get any easier. My 11-year-old hooked it up to our TV and configured it within about 15 minutes, and most of that time was spent waiting for the Roku to update itself to the latest software version. She even entered the WiFi information. She had never hooked up a Roku device or gone through the setup screens before. She got all the way to the point where I had to enter the Roku login credentials, which she didn’t know. 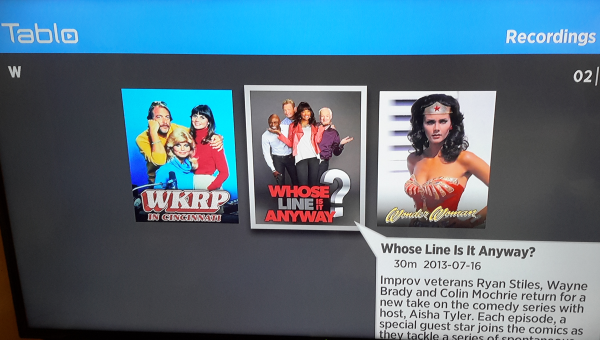 I recommend setting up a Roku online account at Roku.com before hooking one up for the first time, since it’ll make the setup process go more quickly and smoothly. My daughter described the Roku Streaming Stick as reminding her of a USB flash drive, as the size is similar. Since the Roku Streaming Stick interface is exactly the same as on our other Roku devices, my 5-year-old wasted no time in looking for her favorite channels, such as Angry Birds Toons, Amazon Prime and Netflix. Among Roku’s more than 2000 channels, you’ll find options for watching movies without a subscription and many other stations you may have never heard of. For viewing and recording free local stations, check out TabloTV. 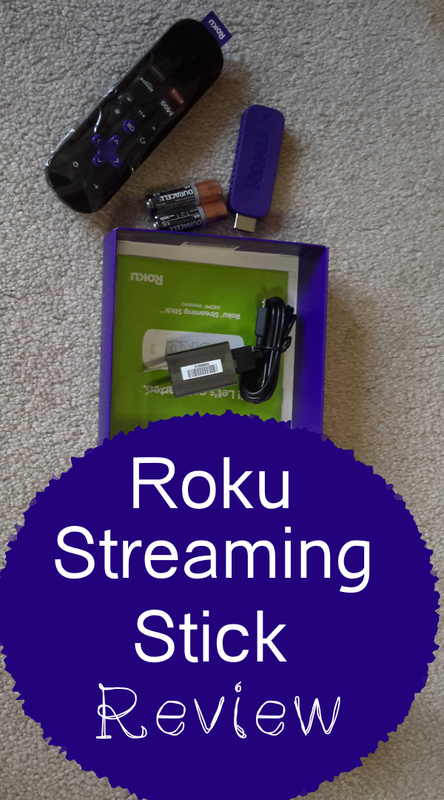 College kids can take a Roku Streaming Stick back to school with them and avoid having to sign up for cable TV. For help with setting up your Roku device, you can contact Roku at 816-272-8106 or https://support.roku.com. I received a demo Roku Streaming Stick for use in this honest evaluation. You can find more of my Roku related posts at this link.